Sports Fun Corporate Events plans, implements and facilitates company picnics, team building, holiday parties, themed events, grand openings & luncheons. Sports Fun also has an educational interest in offering enrichment programs to children in the Tampa Bay area. We’ve been in business for 30 years and are family owned and operated with loyalty and longevity on our side. We are full service planners. With one phone conversation and a little information, we will plan, implement, facilitate and staff an entire successful event and make it look easy. The most popular event is the Employee Appreciation picnic. We are aware that the more intellectual corporate leaders find it beneficial to recognize employees for their hard work and dedication; we’re here to show you how. A group of employees put together does not automatically make a “team”. On behalf of all of the employees in the workplace, it’s time to improve morale, generate positive attitudes and decrease the daily stress levels by utilizing our team of experts who will design the most creative, interactive, “game” changing team building events in the industry. Holiday party? On site luncheon? Grand opening? Awards ceremony? Cocktail party? Tailgating? Luau? Themed event? We will make the planning of your event easy and make you look extraordinary. 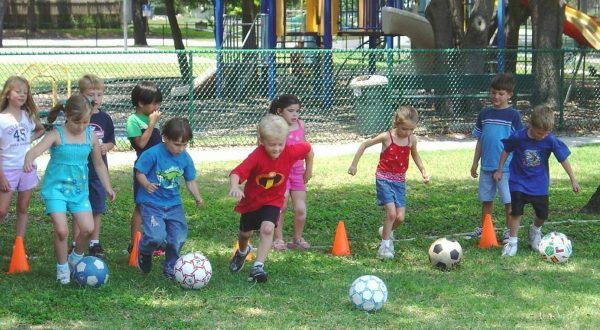 The physical education coaches, who lead our Sports Fun Enrichment Programs, teach children organized sports education classes throughout the Tampa Bay area. We are also known for facilitating spectacular boys and girl’s sports related birthday parties. 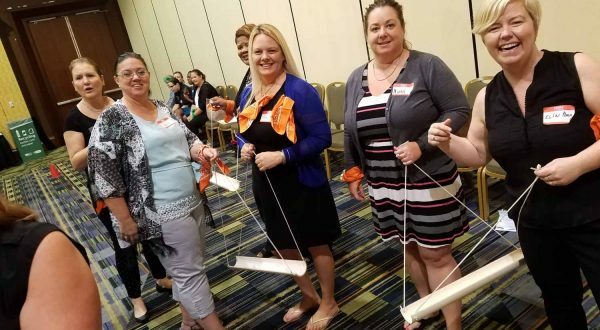 Another element of our dedication to education is in offering interactive workshops for companies who staff teachers and caregivers. 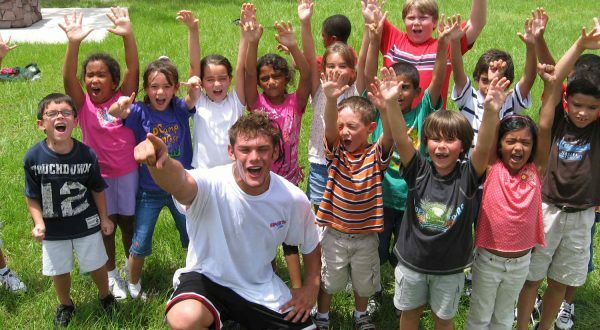 The Sports Fun Enrichment Programs include weekly sports classes taught at select schools in Hillsborough, Pasco and Pinellas counties. These physically active classes focus on introducing a wide variety of sports to children 3 years of age to 13. Our summer sports camps are held at many public schools which are managed by the after school PLACE and HOST programs at area elementary and middle schools. Looking for something new and exciting for a birthday party? Select a sport from our list and we will design an age appropriate sports party. We provide a Sports Fun coach and enough equipment to entertain up to 20 kids! A “chase and tag” game, relay races, sports drills and tug of war make for the ultimate birthday party. The workshops are generally held at the place of business, for convenience, and are approximately 2 hours in length. The basis is to teach administration and staff better communication skills through teamwork, interactive games, problem solving and outdoor role playing to increase the effectiveness of teaching children, through a child’s perspective. It’s always a fun learning experience which leads to positive results in the work environment. Do you have the task of planning the next family style picnic, company holiday party, elegant evening corporate affair or luncheon catered on-site? Our professional party planners will make you look outstanding because at Sports Fun Corporate Events, we pay attention to even the smallest of details! We provide everything needed for the ultimate employee and guest experience. From site selection, to clean up, and everything in between, we are truly a turnkey solution for all corporate event needs. Our team becomes a trusted partner in organizing events and accomplishing client goals through rigorous planning, budget-leveraging service, and diligent communication. We are full service event planners which includes your choice from a diverse menu selection, recreation packages and unlimited entertainment choices for any size event. We will provide an exceptional staff who mindfully set up all equipment with special attention to detail, keep stocked a fabulous buffet which is always cooked fresh on-site, facilitate scheduled activities and take care of the clean up afterwards. No more will you or your staff have to "work" the next corporate event. Feedback across our client spectrum confirms that our dedication and passion in event planning delivers occasions that consistently exceed expectation. As always, the picnic was a full success, and as always, everything was perfect. Thank you and your staff for a wonderful event! Thank you for throwing a perfect picnic! Contact us today for a customized proposal that meets your budget and exceeds your expectations.